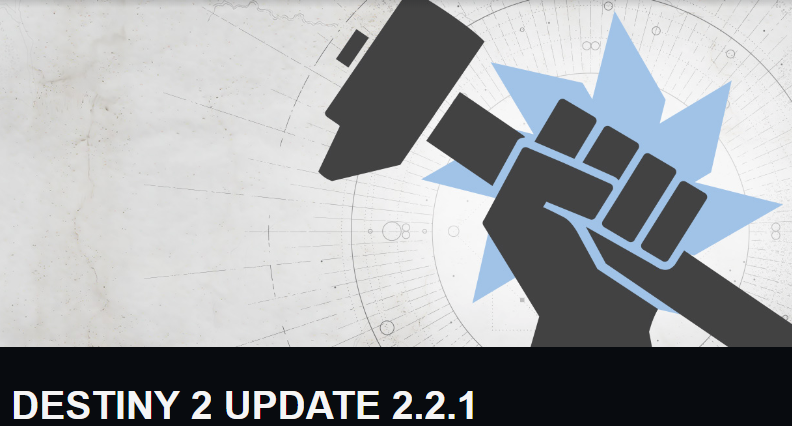 Update 2.2.1 launches this week. You can read the complete patch notes below. Fixed an issue that caused poor scope behavior on the Prospector's ornament "Caution: Heavy Machinery"
Used to acquire Last Wish ship "Ermine TAC-717"
The Marasenna lore book was missing two entries: Revanche I and Palingenesis III; these entries now unlock after you unlock all other entries. Fixed an issue where players who are disconnected from Destiny servers could not rejoin games in the Competitive Crucible playlist. Fixed the description on some bounties to correctly read "<Element> ability kills" instead of "<Element> kills"